Founded in 1876, the American Association on Intellectual and Developmental Disabilities (AAIDD) ( formerly the American Association on Mental Retardation - AAMR) is the oldest and largest interdisciplinary organization of professionals (and laypeople) concerned about mental retardation and related disabilities. 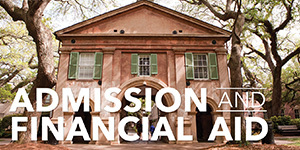 Dr. Robert Fowler initiated the College of Charleston's Student Chapter (SAAMR) in 1989. The mission of the student chapter has been to provide service and activities for the citizens of Charleston who have mental retardation. For 15 years, SAAMR sponsored an evening Spring Dance for the adult citizens of Charleston County who are mentally retarded. We did this entirely with donations from the student members and the community, and without any support from the department, School of Education, or the College. Dr. Denis Keyes has advised this organization for more than 17 years. The Collegiate Educators Association (CEA) is a professional education organization for college students preparing to become middle level teachers. In monthly meetings, teacher candidates discuss issues involved in teaching young adolescents, talk with teachers about topics of interest, and plan worthwhile service projects. CEA members travel to conferences together, meet with other CEA members from across the country, and contribute to the promotion of quality education for middle grades students. For more information about CEA , an affiliate of the Association for Middle Level Education (AMLE). Contact Dr. William Veal for more information. Sponsored by Dean Francis Welch, the Dean's Student Advisory Council meets at least once each semester. The purpose of this Council is to advise the Dean from the perspective of students. 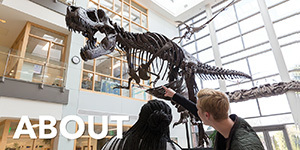 Each student organization within the School of Education has one representative on the Dean's Student Advisory Council. Kappa Delta Pi, an international education honor society, was founded on March 8, 1911, at the University of Illinois. 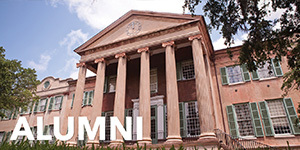 The College of Charleston's Tau Tau Chapter was installed by Mr. Michael Wolf on February 18, 1993, under the leadership of Dr. Bob Fowler. Today the Chapter has over 100 current members with Dr. Kelley Mayer White and Dr. Brian K. Lanahan as its counselors. 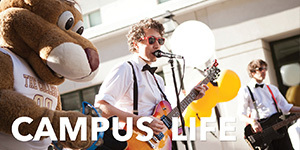 Members are education majors with an overall GPA of 3.0 or higher. These majors continue to participate in the society after graduation and thus the Tau Tau Chapter has a great mixture of undergraduate and graduate students, as well as school teachers and principals. For more information see the Kappa Delta Pi webpage at www.kdp.org. The Public Health Society as an organization for Public Health students and is a great way to become involved in public health. Contact Dr. Andrea DeMaria or find us on Facebook. National public health organizations include the American Public Health Association and the Society for Public Health Education. 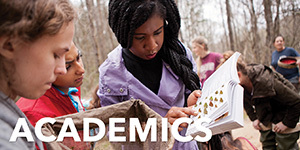 A student chapter of the South Carolina Association for the Education of Young Children (SCAEYC) was formed in Spring 2004 by students in the first undergraduate early childhood education cohort. SCAEYC is a state affiliate of the National Association for the Education of Young Children, the largest professional organization for those who work with children from birth through third grade. Since 1926 NAEYC and its state and local affiliate groups work to facilitate collaboration, professional development, and advocacy for issues important to the welfare and education of young children. Membership is open to any student interested in working with or advocating for young children, and is not limited to education majors. For more information contact Dr. Candace Jaruszewicz. The College Bowl is held annually as a part of the annual conference of the South Carolina Council for Exceptional Children (SCCEC). Four special education majors from the College of Charleston test their knowledge of special education against that of students from other institutions in South Carolina. Dr. Michael Skinner has coached the team for the past two years. 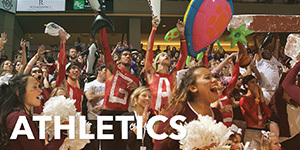 Of the seven years the event has been conducted, the College of Charleston has emerged victorious six times, including the past three years.